Adam attends a special Film Independent Presents screening of If Beale Street Could Talk with a Post-Screening Q&A by Writer/Director Barry Jenkins and Star KiKi Layne. 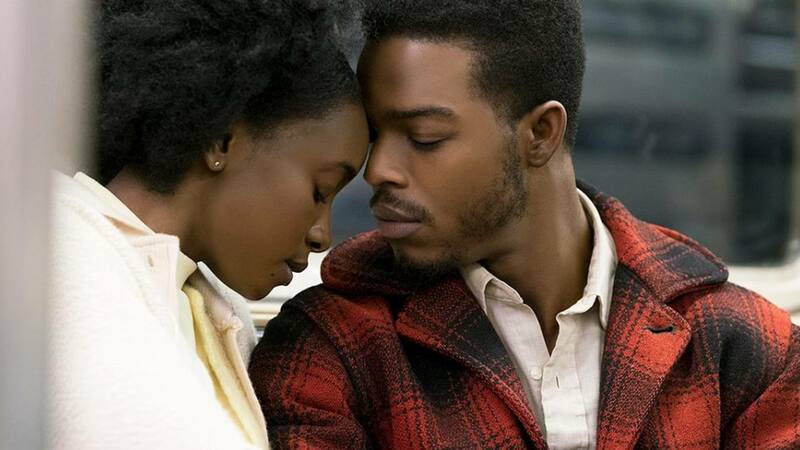 Barry Jenkins’ adaptation of If Beale Street Could Talk, his follow up to the Academy Award-winning Moonlight, is a love story of uncommon power. Adapting the novel by James Baldwin, Jenkins has made a film that is both a love story and social commentary without the clichés of either. What has been produced is not just a film for 2018 but a film for the ages. As we meet Fonny (Stephan James) and Tish (KiKi Layne) find their love story on the wrong side of a happy ending. Tish is pregnant. Fonny is in prison for a crime he did not commit. We are in the late 1960’s New York City. This is the direst of situations. Though all this is against them, Fonny and Tish remain calm and determined. No matter the odds, the young Couple’s love finds a way to give each other strength. Fonny to continue to remain strong incarcerated awaiting trial. Tish to find a way to free Fonny. The story told is the truest of love stories. Not in the fairy tale way. In the way that gives one hope. In that way that we rarely see on screen. The struggle to fight and fight and even when you are at your rawest you continue to fight for what you know to be true. If Beale Street Could Talk affirms Jenkins as a World Class Filmmaker. His use of mise en scène, music, editing, performance and camera is unheralded. The director uses every tool at his disposal with such grace and artistic purpose that you are at once swept away in the story and very aware of the techniques being used to tell said story. It’s this discordance that is the magic and power of the film. Allowing you to allow the story to wash over you and appreciate the techniques being used. Jenkins and cinematographer James Laxton take simple moments like going to a local restaurant, a walk in the rain with a red umbrella, seeing an apartment and turns them into a tapestry of powerful memories tied to the larger story. It isn’t just the scenes of poetic beauty that stand out. Jenkins understands that there is power in quiet, allowing scenes to play out not with a sense of theatrics but with a simmering anger and verisimilitude. This balance of poetic beauty and simmering anger is on display between in the scene between Fonny and Daniel (Brian Tyree Henry). The work done by James and Henry is quietly devastating. The scene, along with the rest of the film, is a masterclass in staging, writing, and acting. Jenkins takes a scene of reconnection between two men and slowly reveals darker truths about America’s treatment of Black Men. There is a sensitivity the way that Jenkins directs the scene, flowing between the two actors, not cutting but letting the camera move between Fonny and Daniel as they begin to confide in one another. Allowing the characters to live within the film for an extended moment, giving us not just an understanding of these two men but the era, the time, and circumstances they have lived through is one of the high watermarks of cinema in recent memory. In an era of so much sound and fury and meaningless cinematic ventures, If Beale Street Could Talk eschews bombast and superficiality for warmth, understanding, and depth. Barry Jenkins has created another film unrivaled in its romance, hope, and humanity. What makes separates it from much of what we have seen in 2018, is that it understands that romance, hope, and humanity are all hard earned and worth fighting for. From Left: Tre’vell Anderson of Out Magazine, KiKi Layne, and Barry Jenkins attend the Film Independent Special Screening of “If Beale Street Could Talk.” Image courtesy of Getty Images and Film Independent. Note: there are some light spoilers with discussion to the ending. The final two sections below are in fact specifically about the ending. Feel free to avoid that until you have seen the film. Following the film, there was a 25-minute post-Screening Q&A held by Film Independent as a part of their “Film Independent Presents” screening series. In attendance was Moderator Tre’vell Anderson of Out Magazine, Writer/Director Barry Jenkins, and star Kiki Layne. Here are some highlights from the Q&A. Jenkins wanted to portray something he rarely ever saw on screen: Young Black People being soul mates. This informed their casting of Kiki Layne and Stephan James as Jenkins held chemistry reads (rather than outright auditions). Once they had Layne and James cast they then built the families around them. Jenkins who was giving the book by one of the Sound Mixers on Moonlight wrote his adaptation before he had the Film Rights. Both Layne and Jenkins discussed the “family scene” (you’ll know it when you see it). Kiki discussed how this was the scene where Tish realizes she’s going to have to fight for her newly created family possibly without the help of people she thought would. The interviewer asked Jenkins to discuss the amazing close-ups employed throughout the film. Jenkins discussed how intuitive and emotional the decision to use the close-ups. How it is about giving and receiving from a film audience that was an attempt to be comparative to a Novel. How this worked at allowing an audience to be more empathetic to the characters. As Jenkins calls it, “Giving us a direct connection to the Character”. Jenkins discussed the adaptation and how he did not want to update it or change the dialog. This was also informed by this was the First English language adaptation of James Baldwin material. Jenkins felt it was important to keep Baldwin’s word and his dialog, additionally he admitted that it was a bit of a “cheat code” as the last two films have been adaptations of two amazing talents (Moonlight was based on Tarell Alvin McCraney play). That he did not really change/adapt the material as much as he ensured that the part that needed emphasis were emphasized. Jenkins admitted that Layne was a huge defender of Baldwin’s work. Specifically, ensure that she adjusted to the dialog as written and not the other way around. Jenkins discussed how they wanted to ensure the woman who was assaulted Mrs. Rogers (played by Emily Rios) was NOT the antagonist. How much they worked hard to ensure that the language that Baldwin was so careful to use remained intact when it came to Mrs. Rogers. The words that Baldwin wrote helped them with the portrayal of the trauma of Mrs. Rogers. They really wanted to make sure to not minimize her trauma and the assault. Which Jenkins admitted they were all very obsessive about (with good point). Which led to a discussion of how Fonny was never falsely accused but he was chosen/targeted by a corrupt Police Officer. How this splintered out to more of the themes of the film. They also discussed the aforementioned (in my review) Stefan James and Brian Tyree Henry scene. Layne and Jenkins both discuss the uncommon sensitivity in the scene. How Jenkins wanted to show the sensitivity to Black men and their struggles with trauma. How we often times minimize other people’s trauma or we don’t deal with it. They only had one day to film with Brian Tyree Henry as he was filming Atlanta and with considerations that makes the scene even more impressive. They shot on the Alexa65 (the same camera that they shot Infinity War with).